On the Pacific Northwest an oceanic tectonic plate (Juan de Fuca) is being pulled and driven (subducted) beneath the North American continental plate. Earthquakes generated along that fault may produce local tsunamis. Local tsunamis are those generated by earthquakes near the coast. 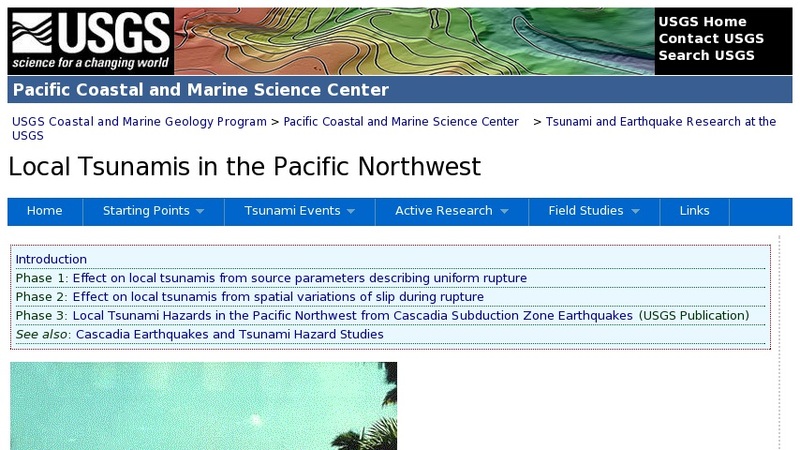 This site provides links to external webpages describing the physics behind a tsunami. Resources featured in the links include glossary of terms and photo galleries.